Dr. Brandon Hochman is a Chiropractor with 15 years’ experience. He was first introduced to chiropractic treatments as a young athlete and his interest in the profession peaked while fulfilling an internship when attending Rutgers University in New Jersey. As a student-athlete at Rutgers, Dr. Hochman competed in both baseballs and soccer team. After graduation, he attended Life University in Marietta, Georgia where he received his Doctorate of Chiropractic degree. 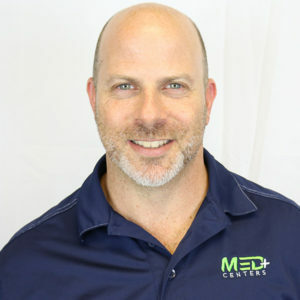 Dr. Hochman then started his career with Georgia Spinal Health and Wellness, and later moved to Florida where he became the managing director of a large clinic for a couple years before partnering with Dr. Lawrence Weiner at Med Plus Centers. Dr. Hochman is certified in Manipulation Under Anesthesia and was one of the lead instructors of the technique for two different universities. 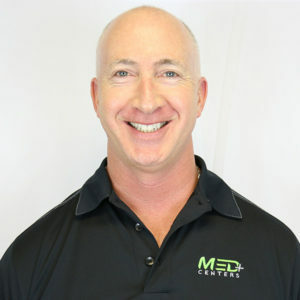 Dr. Hochman is also certified in Muscle Activation Techniques, in which only a handful of chiropractors are trained worldwide. He and Dr. Weiner are also the official Chiropractors of Bommarito Performance Centers, a top 5 nationally ranked training center for elite high school, college, and professional athletes. Dr. Lawrence Weiner has been serving the Miramar community for over 15 years. He is a qualified chiropractor with extensive training in the diagnosis and treatment of traumatic injuries. Dr. Weiner is certified in S.O.T., Thompson, Diversified and Acupuncture. He uses these techniques along with his experience to treat the underlying cause of your pain, not just the symptoms. Dr. Weiner believes in a naturopathic approach to healthcare. His individualized treatment plans are based on each patient’s lifestyle, symptoms, and level of activity. He will educate all of his patients on how to prevent injuries from re-occurring and how to move beyond the pain to wellness. Dr. Weiner chose to become a chiropractor because he was headed for orthopedic surgery when chiropractic care helped relief the injury. Chiropractic care relieves pain, maintains good health, increases energy, and so much more. Find out for yourself if the team at Med Plus Centers can help you achieve your optimal health.